The Great Divide: 2 Polarizing Bathroom Features - C.C. Dietz, Inc. Here are just a few of the commonly polarizing bathroom features that get a lot of love while simultaneously getting a lot of hate as well. Love it or hate it? Certain bathroom features are universally loved. And then, there are those that polarize homeowners. Many of these bathrooms are commonly found all around York, PA. Here are just a few of the commonly polarizing bathroom features that get a lot of love while simultaneously getting a lot of hate as well. While there are many homeowners that love the clean and sleek look of a clear glass shower, others don’t have that same enthusiasm. For those that love it, the appeal comes from the very modern look and also the ability to easily show off other details in the bathroom itself. In addition, for those who love clear glass showers it can come from the fact that clear glass showers help to make a bathroom feel a lot larger and spacious, especially if you have a bathroom that is on the smaller side. However, there are the naysayers who can’t stand the look. The high cost of maintaining the cleanliness of clear glass showers can deter homeowners from making that commitment in their homes. More often than not, homeowners who dislike clear glass showers worry about the showers spotting over time. In a bathroom, sharing is often caring. 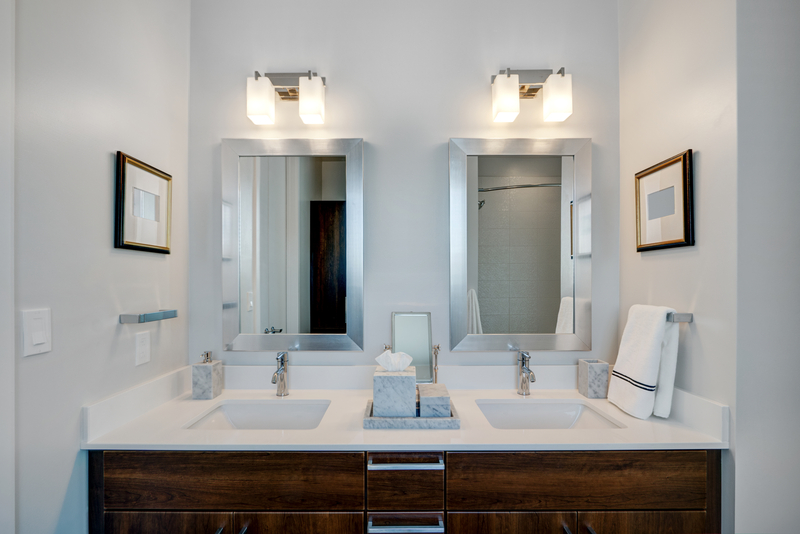 Homeowners who share a bathroom will often love the idea of having a double sink in their bathroom. It’s these double sinks that help to provide ample and much-needed space for two people to get ready for the day simultaneously. The extra sink and counter space that many double sinks provide can also help to make the bathroom itself feel significantly less cluttered. 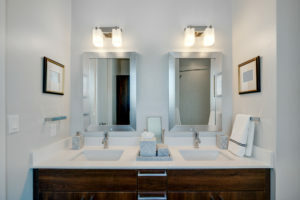 But, there are those homeowners who dislike the idea of a double-sink vanity. For the haters, double-sinks can leave homeowners with a lot more area that just gets wasted and collects dust. This entry was posted on Monday, March 18th, 2019	at 5:54 pm	and is filed under Bathroom Remodeling . You can follow any responses to this entry through the RSS 2.0 feed. Both comments and pings are currently closed.